Click the “Pages” tab in your dashboard. In the meta box “Page Attributes”, which is located on the right side of the screen, select “Contact Form” for the “Template” option. Thereafter block “Feedback Options” will appear below the text editor. 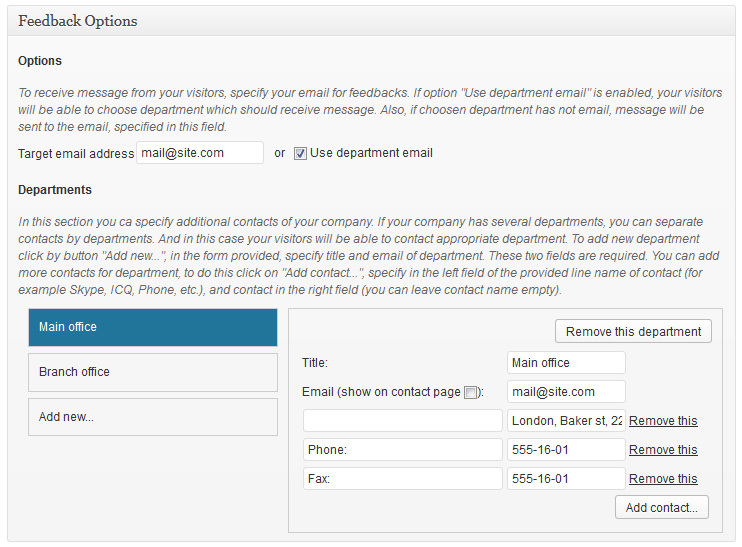 Adjust your contact form and departments info using this block. Add some content to text editor; it is good place for info about your operation time, or map of your office.